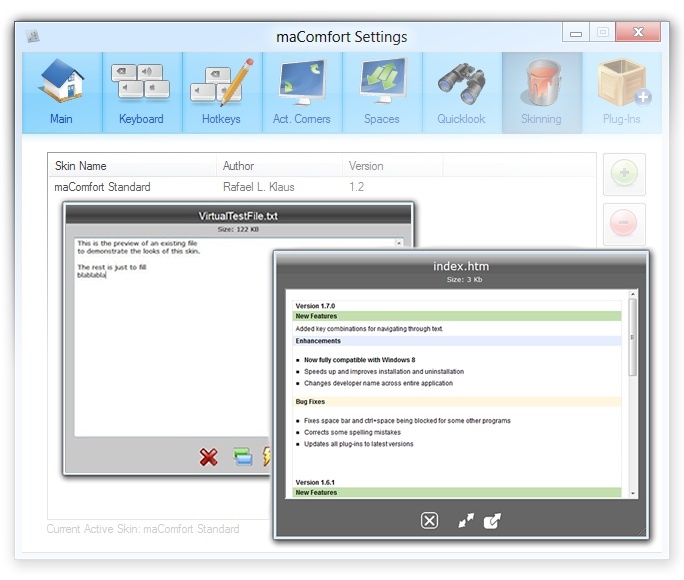 maComfort adds features like Quicklook to any PC. 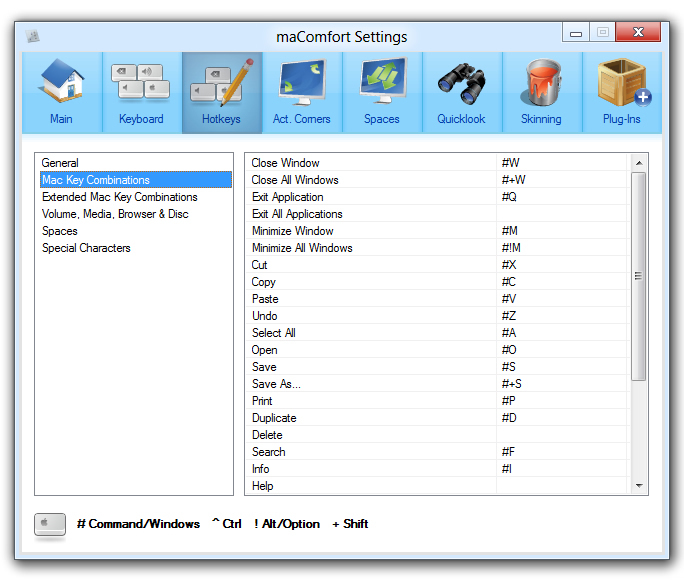 maComfort is a background process which enhances the overall usability of Windows by adding much-loved Mac OS features. It was specifically designed for frequent Mac users. Features added include Quicklook, virtual desktops à la Spaces and customizable Mac hotkeys for those times when you're using a Mac keyboard on Windows machine. If you happen to switch between Mac OS and Microsoft Windows frequently (e.g. 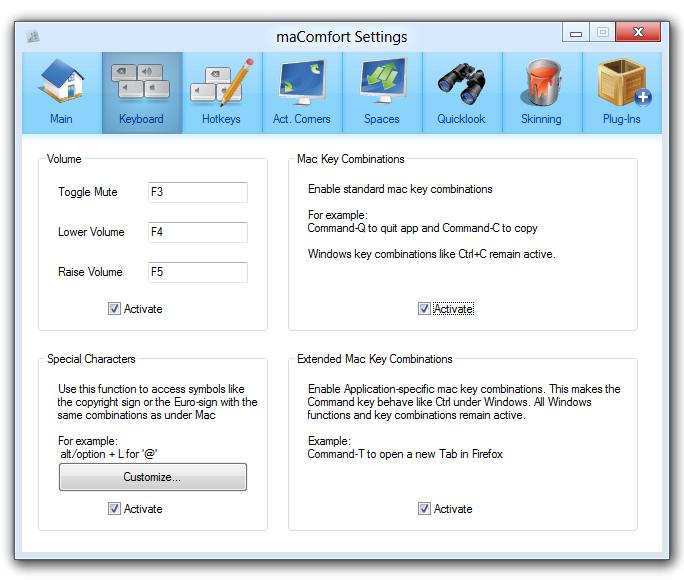 PC at work, Mac at home) you probably caught yourself trying to open a Quicklook preview on Windows, or attempting to copy a file using Control-C instead of Command-C.
maComfort was designed to solve those problems! 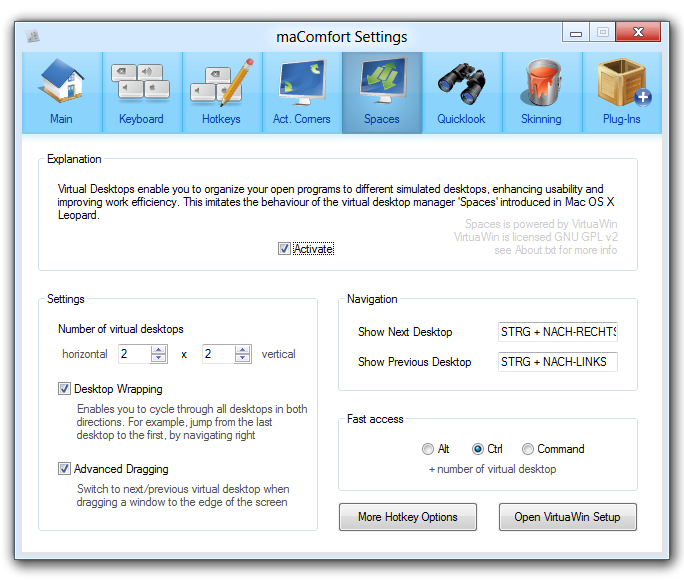 It will enable nearly all Mac OS key combinations on any Windows machine, and let you use great features such as virtual desktops and Quicklook. Preview files like you would on Mac. Just hit space and a Quicklook preview of the file will be shown. No need to adapt to Windows anymore! The Windows-key now works like Command, in any application. E.g. Command-T opens a new tab in Firefox. Using Command-D often to duplicate a file in Finder? Now, all of the most known key combinations can be used on Windows! 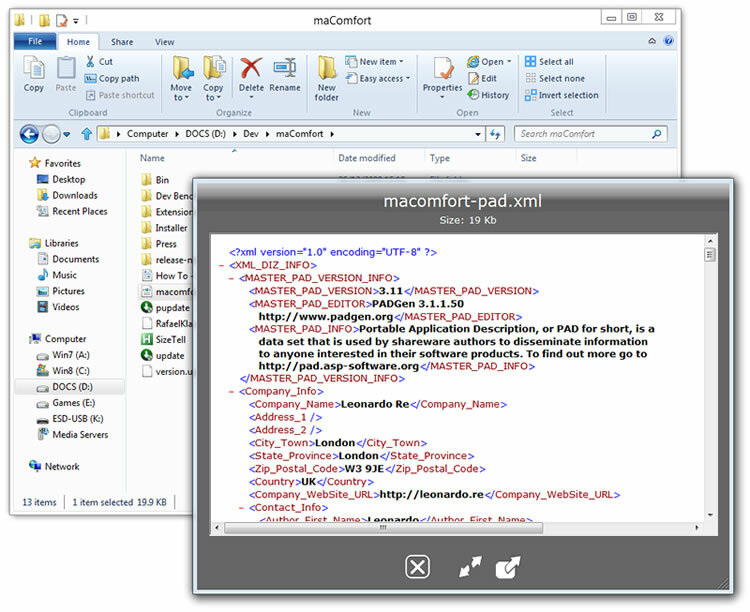 Completely customize the look of maComfort. Use one of our themes, or create your own. Add intuitive virtual desktops with easy switching. 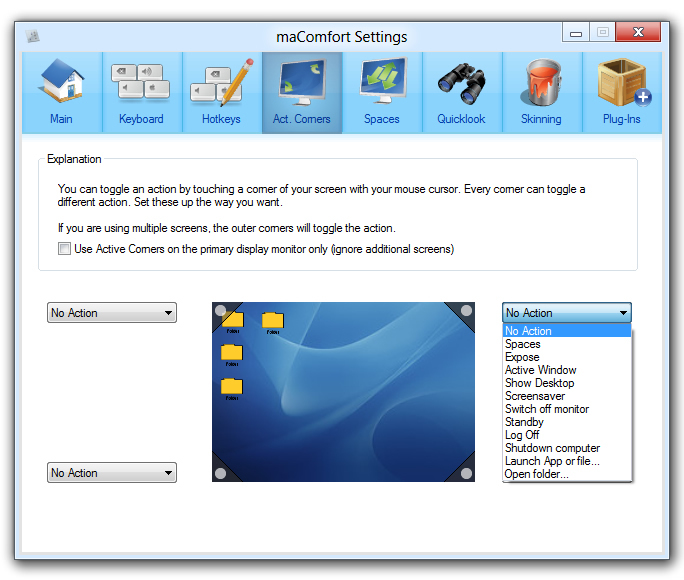 Enable the screen corners to toggle specific actions. 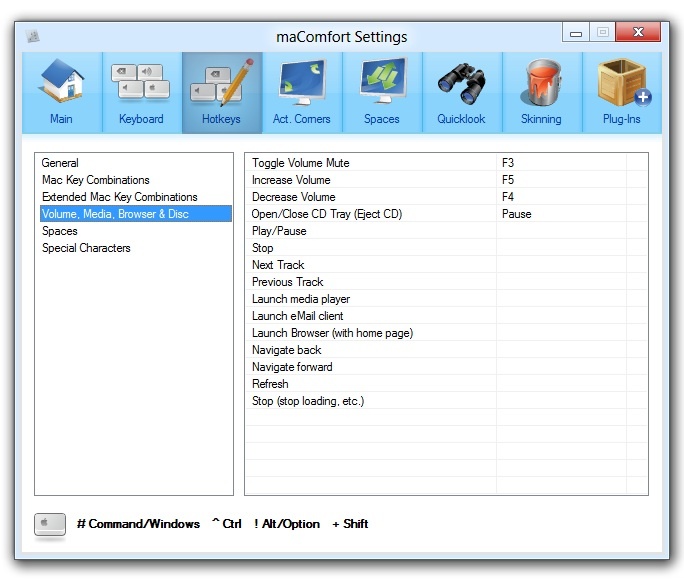 Set any keys to control your audio volume and multimedia applications. Useful if drivers won't work or another keyboard is attached. Add more functionality with a variety of plug-ins. A license for maComfort only costs €14.95 incl. VAT (where applicable). Payments and delivery are handled by Paddle.